With a sole proprietorship (solopreneur) company, you may not have employee wages to worry about but you still need to maximize your profit in order to pay yourself and grow your business. Earning more money is the name of the game, however saving money can oftentimes be the easier way to increase profit. 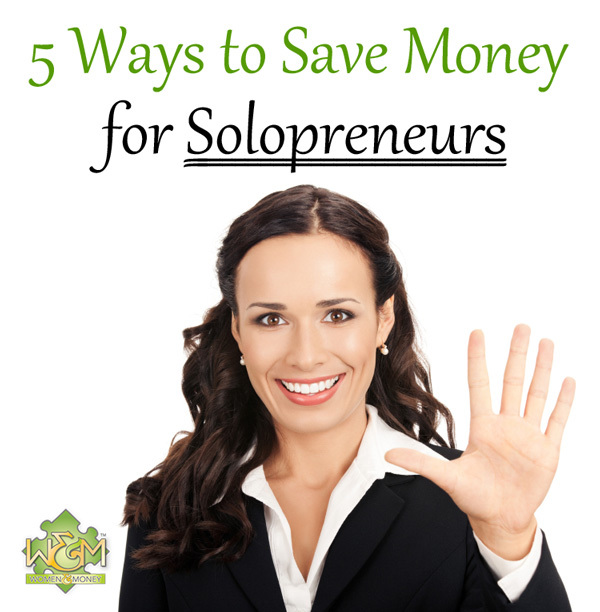 For our second installment of our Women Entrepreneur Tips series, we present five ways solopreneurs can save money. You cannot deduct expenses for obtaining capital gains, but you can deduct expenses incurred to earn business income. Hire an accountant to assist you with tracking and claiming all of your expense deductions. This will allow your more time to focus on your business, and decrease your business taxes, so it’s well worth the cost of outsourcing this task. 2. Create a budget for your business and track your spending in each category diligently. Any of your expenses listed above should be planned for, budgeted and tracked. This will prevent spending from getting out of hand and costing your business its profits. 3. Decrease lunch meetings and coffee meetings. The cost of the food, drinks and tips quickly add up from regular lunch and coffee meetings, so instead try to schedule meetings at your office, or virtual meetings via Skype, etc that doesn’t involve the added costs. 4. Barter your products or services for other products and services. Business to business transactions are a part of any business even when you are serving the end consumer, so why not try to save some money by exchanging what you to have to offer for what you need? It can be a win-win for both parties, so think about this the next time you are seeking new products or services for running your business. It doesn’t hurt to ask. For debt problems see us first – we work for you not your creditors!